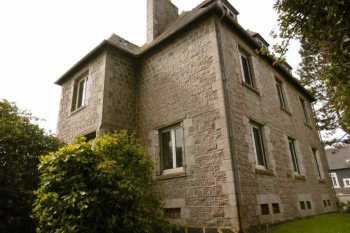 AHIB-1-PO-027 Mael Carhaix, 7 Bedroomed Manse on 2,562m2 gardens... Versatile with business in mind? Imposing property just a few minutes walk to village centre. This is a great value for money business opportunity. 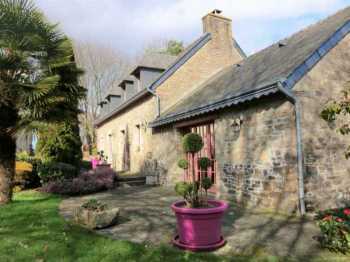 AHIB-2-DN-587 Josselin 56120 Between Josselin & Pontivy – 2 bedroomed old mill house on the Nantes to Brest canal. WOW! Set on an island between the canal and the river, this old water mill dates back to earlier than 1800 when it used to have two water wheels. 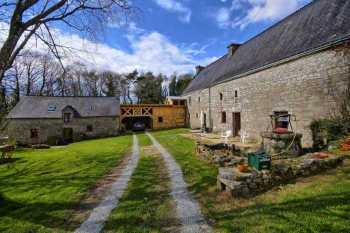 Set in a picture perfect location, with beautiful countryside on all sides. 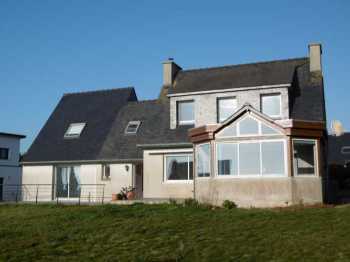 This large 4 bedroom 3.5 bathrooms (2 en-suite) Neo-Breton home would make an excellent family home with the potential for B&B use. 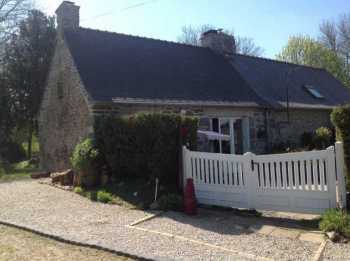 Located in a large hamlet between Locminé and Baud, this former bistro was transformed into a bright and spacious dwelling. 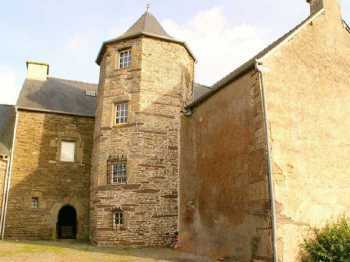 AHIB-2-MF884-DM56 Ploërmel Rare Renaissance Manor on 5 Ha (possible more and coppice). 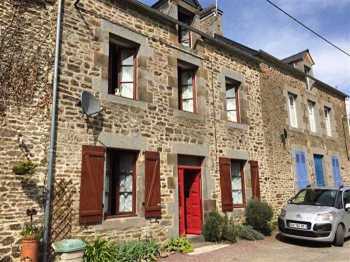 What a perfect combination, totally renovated 4 bed family home PLUS a gîte that is rented as holiday let. 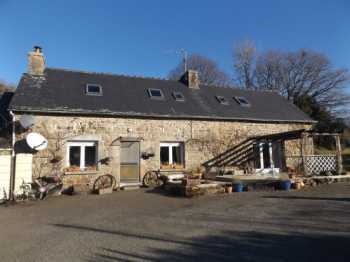 Ideally located just 30 minutes from Dinan this is a great spot for attracting gîte guests with so much to do in easy distance. 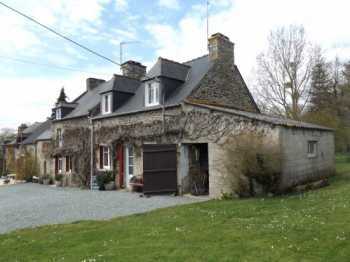 AHIB-3-M1912-2914795 • Huelgoat • In a hamlet • A 4 bedroom longère with 4,400 m² of land. 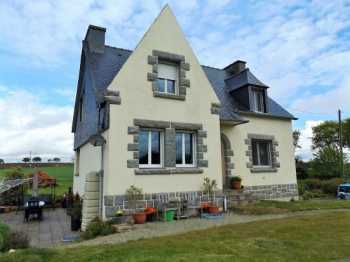 Located in a small hamlet with lovely views, a 5 minute drive from the little town of Huelgoat, this longère has been renovated inside. Located in the countryside of Guern and the Saar Valley, in a small hamlet you will find this mansion dating from 1633 with its house and 2000m ² of garden. Located just outside the village of Locarn And the Landes de Locarn and Les Gorges du Corong right on your doorstep, fantastic walks. 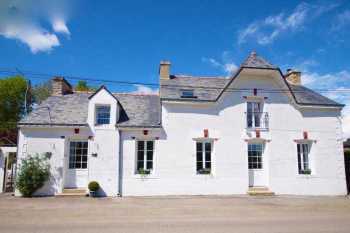 At the end of a No Through Road and within walking distance of the village centre and local restaurant/bar, small shop, bakery and post office. The town of Huelgoat only a 10min drive. 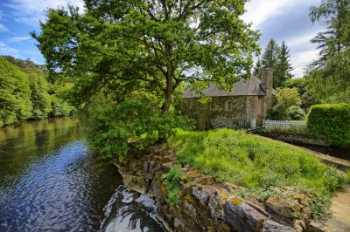 Located on the edge of a small lake, in a dead end of countryside, this hamlet is full of charm. 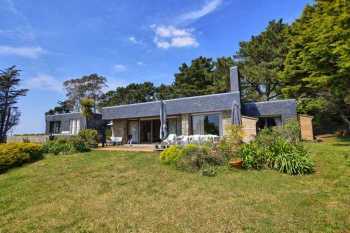 Consisting of a set of four independent houses and a 6949 m² plot with pool, well, bread oven and pond views from almost everywhere. 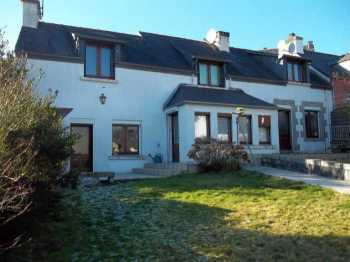 AHIB-3-M1879-2914774 Huelgoat 29690 A 2 bedroom house in good condition with 320m² of garden in Huelgoat! 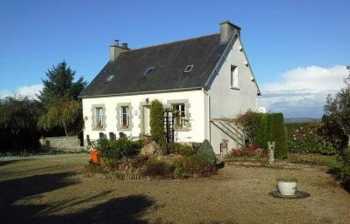 Located very close to the centre of the village, this nice house is habitable right away, nothing to do, and it's in excellent condition. It is in a quiet little street of the village. A quiet house just a few steps from the beach and sea and enjoying beautiful views of islands, the lighthouse and beaches. Sea views from the majority of rooms. 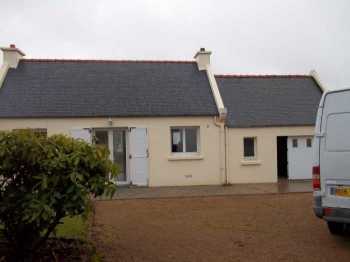 AHIB-3-M1872-2914769 Scrignac 29640 Two bedroom bungalow with garage and very large garden, on its own! This little bungalow is ready to move in, you will just have to install a kitchen and do some decoration work. 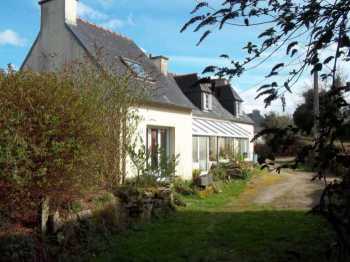 It is an ideal property for a first investment or for a young couple or a retired couple. 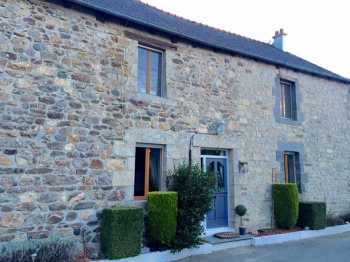 In the heart of a charming village, just 10 minutes from Dinan, and offering easy access to the St Malo-Rennes expressway, this pretty stone house has nearly 100m ² of living space. 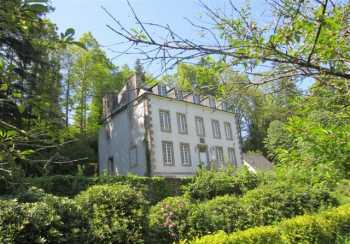 ust 10 minutes or so from Morlaix, at the end of a wooded road, quietly situated in an exceptional setting, magnificent 19th century manor house.